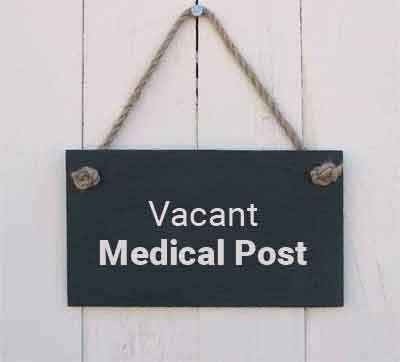 Jaipur: Showing strong discontent over the rising vacant posts of medical practitioners as well other paramedical staff in the government hospitals and medical colleges of the state, the Rajasthan High court recently slammed the state government stating that it was not serious about filling these posts. The comments came in response to a petition filed by a former MLA that stated that government had failed to notify why these vacancies have not been filled. Presenting the status report of the vacant posts at the government medical facilities, the additional advocate general SS Ladrecha highlighted that currently there are 11,120 posts of doctors of various cadres sanctioned in the state, of which 2,916 are lying vacant.Moreover,against the 2,426 sanctioned posts of senior professors, associate professors, assistant professors and senior demonstrators in medical colleges of Jaipur, Jodhpur, Ajmer, Udaipur, Kota and Bikaner, currently only 1,228 doctors are on posts . There is also a recorded shortage nursing and paramedical staff in the state. At least 1,591 posts of nurse grade-I and 4,921 posts of nurse grade-II are lying vacant. Observing that the status report reflected insincerity and apathy of the state government towards medical sector services., the division bench of the court has now directed respective principal secretaries of medical and health and medical education departments to file affidavits on the efforts being made to fill the vacant posts.The next hearing in the case is scheduled for January 17 reports HT.